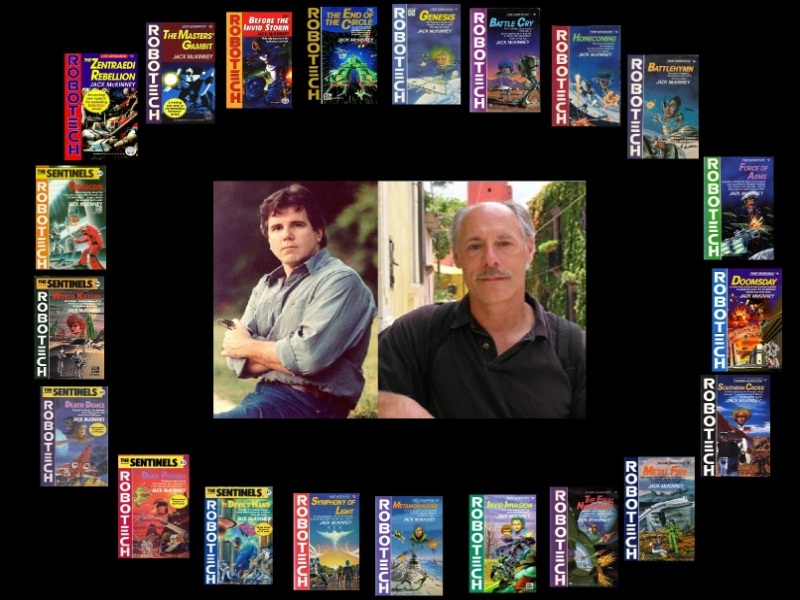 ROBOTECH: THE MCKINNEY PROJECT: ENGLISH: SEPTEMBER 18, 2014 : EXCITING TIMES AHEAD! ENGLISH: SEPTEMBER 18, 2014 : EXCITING TIMES AHEAD! I'm really sorry for the lack of updates here! I have been posting updates on our Facebook page but I can't leave the "home base" neglected! I am really excited for the relaunch of the podcast. We started strong and somehow I disappeared but the thought of continuing the Robotech Novels journey was never far from my thoughts and I made a pledge to see this project through all 21 Novels. I owe that to Brian Daley and James Luceno aka "Jack McKinney". One day I will tell you guys and girls MY Robotech Novels "story"! I have a lot planned for the show. Not just the reading of the Novel excerpts but also going into the universe that Jack McKinney created for Robotech. And a lot of surprises along the way! I try not to be a perfectionist......but I just want to give you all my very BEST! Thank you to everyone who has been part of this journey so far and for your patience with this podcaster. If you are new to Robotech: The McKinney Project you are invited to listen our compilation Episode to get up to date with what we have done in anticipation for Episode 4: "The Secret". Just click on the link HERE to listen to The Compilation. "...Missiles came spiking at him, superheating the air with their trails. He cut in all countermeasures, going into a booster climb, going ballistic. He rammed the stick up for a pushover, losing a few of the seekers, unable to tell if the maneuver forces had simply knocked Minmei out or killed her. Wishing he had Roy's skill at this sort of thing, Rick dodged, white-faced with the thought that he would fail, would let Minmei down and lose both their lives. Miraculously, he avoided them all...almost..."